I know that in some areas there is no fall. No bright colors or falling leaves. No fresh breezes or signs of harvest. No seasonal opening to the holidays. In many areas, the trees don’t show their bright colors and the harvest is year round. Or there might be so much snow that the trees don’t have time to change, they just go right into being covered in snow. People in these regions don’t know the beauty and magic of the fall season, so I thought I would share my pictures and my feelings about this wonderful time of the year in my home court of New England. The fall season with the crisp autumn air and the bright colors of the leaves of trees always brings on memories of fires in outside pits to get warm while burning away the prunings, pumpkins with their bright orange colors, apples fresh from the trees, and scarecrows filled with all those leaves. The air is no longer stifling and the evenings are cold enough to need a sweater (but not enough to turn on the heat). Bright mums line the garden pathways and brighten porch steps and yards. Corn stalks and bright gourds rest majestically against fences and walls. The kids are racing to rake up the leaves so they can jump in the piles and scatter them once more. Animals are growing thick fur to keep them warm and comfortable when the snows start to fall. Halloween is coming with costumes, parties, treats, and frightening stories. Haunted houses and trails will begin popping up everywhere to frighten the brave of heart; and where better to have haunted houses than in New England where the old Victorian houses join with the empty trees and crunch of felled leaves to give the ideal haunted-house look. 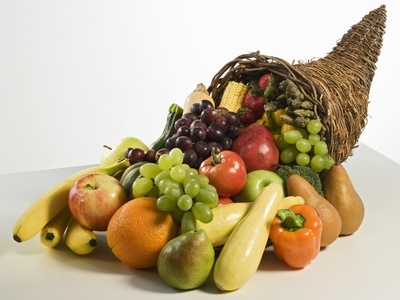 Thanksgiving is next with plenty from the harvest to feed the crowds. Turkeys that have been fattening all summer long will grace the tables of many families. Families will forget old fights and gather together to share in the holiday of thankfulness and forgiveness. Soon the winds will blow the trees bare and the air will turn bitingly cold. Snow will fill the air with dancing flakes and Santa will soon be on his way. Families will shop the decorated stores for holiday gifts to give and children will watch in wonder as Santa Lands pop up in all the malls. Are you a spring, summer, fall, or winter person? They are all grand, but I like the Fall best. It is the time when you can ride a bike and not overheat. It is the time when you can fill up on fresh fruits and vegetables that taste so much better than the frozen or stale ones. It is the time to return to school and the joy of learning new things. It is the time of outside activities because it is cooler and refreshing to be out and about. 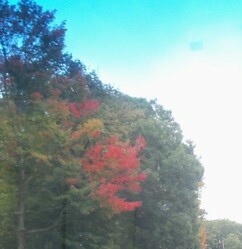 But the best thing about fall in New England is the grand color displays that the trees put on every year. 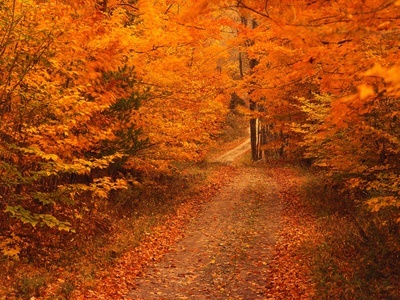 Yellows, reds, oranges, browns, purples, and dull greens line the roadways and yards. Leaves fall to the ground in brightly colored blankets (for a short time at least) and the winds taunt and tease you into running a race you can never win. Fresh air fills your home with the smells of the fresh autumn season and the leaves dance around you as the wind stirs them up. You can sit on your step and watch the cats chase the leaves around. You can sit on your porch swing and smile as the children jump and get lost in leaf piles. You can sit on your porch and enjoy the freshness of a whole new beginning because the air seems so fresh and new as it wafts around you. Yes, fall is a wonderful time of the year, with bright colors, crisp fresh air, and plenty to share, eat and enjoy. I hope you enjoyed my little description of Fall along with the colors our trees are proud to display. Mira, they shine so bright, don't they? Thanks for stopping by and commenting. Thank you, katiem2, that is exactly what I was hoping for. I fully agree with you, sheilamarie, hope you liked the ones here. I love the autumn, and the variety of trees in New England are what makes it such a beautiful place to be in the fall. 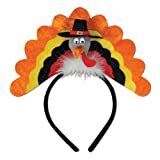 Get the best deals on the best and brightest fall holiday and Halloween cupcake toppers. A big way to top off any class or friend party. Cupcake toppers are to easy to pass on.